On the PC side Home Assistant (also open source) can discover the EPShome devices automatically. Hard drive LEDs… Those are a blast from the past. I remember seriously considering setting up a 555 timer based watching to reset a flaky old DOS machine (it ran a dial-up BBS back in the day) and using the HDD light to clear the watchdog since R.A. hit the disk to load each menu it transmitted and you could give each menu an auto-reload timeout). We ultimately did the more sensible thing and replaced the box entirely upgrading from an 8088 to an 80386 in one fell swoop. Seriously, though, the meaning of a hard drive LED is sort of fuzzy these days with flash drives doing block erases in the background, etc. so tapping in at the OS level to monitor disk I/O at that level makes as much sense as anything. I still mourn the lack of HDD LEDs. It’s so much harder to judge when a system has really crashed, versus the interface just hung while it’s actually working on something in the background, without that little bit of additional info. As drenehtsral said, things are sort of fuzzy now, but I blame it more on background tasks, multiple layers of ludicrously huge caches, and so on. I don’t think SSD background erase/reorg cycles would show up since that data doesn’t go across the host interface, and really the HDD activity LED is an HDD interface activity LED. I guess this cuts to the core of who I am — a DOS kid who’s most comfortable being the sole user on a machine. I don’t like being unable to tell whether I’m using local or remote resources, or being just one user among many and having to trust some vague scaffolding of privilege isolation to keep the others from my data. I expect that every task touching the disk is one that I control, and thus the LED gives me some meaningful status about what *my* machine is doing. 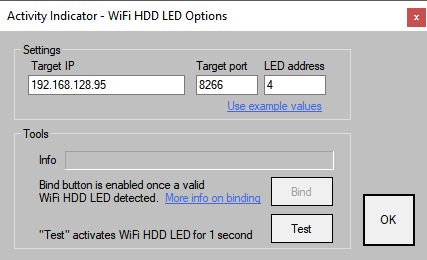 Considering most HDDs are hidden inside the machine, an LED wouldn’t help much. Servers with hot-swap bays do this. The LEDs are on the backplane and the HDD caddy has a plastic light pipe going down the side so that the light can be seen in the front. I didn’t realize they were gone. My laptop and a few cases I’ve seen still have it.